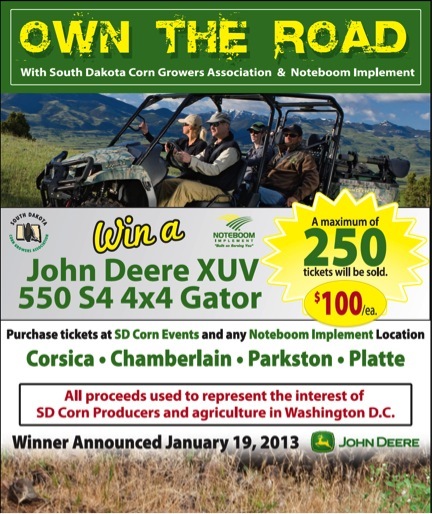 South Dakota Corn has once again teamed with Noteboom Implement to raffle off a John Deere Gator at this year’s SDCGA annual meeting on January 19, 2013. 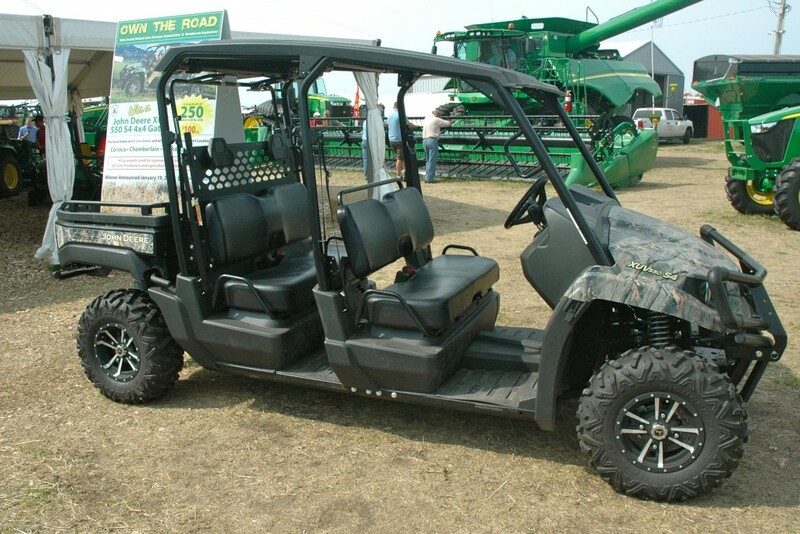 This year’s Gator is an XUV 550 S4 4×4. To give our contestants better odds of winning, we will only be selling 250 tickets at $100 a piece. Call the SD Corn office today at 605-334-0100 to get your tickets before they are gone. This entry was posted in News and tagged Gator, Johne Deere, raffle, South Dakota Corn.